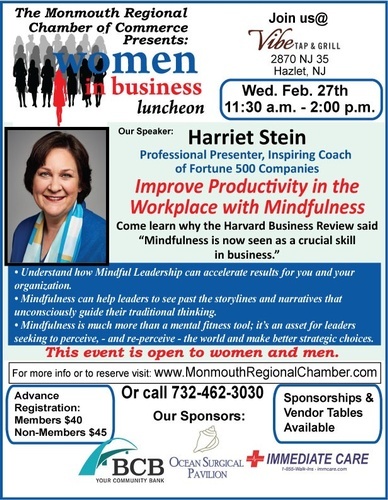 will be presenting on the topic of "Mindfulness"
Harriet has more than thirty years experience in the global healthcare industry, including almost a decade teaching Mindfulness at Johnson & Johnson. She is a registered nurse and professional presenter to companies ranging in size from small firms through the Fortune 100. She is called the “inspirational teacher” and utilizes humor to teach the practice of Mindfulness. Mindfulness is transforming the American workplace.